There’s a simple reason behind National Baking Company’s longstanding position as a leader in the local and regional baked goods industry. Our employees fully embrace our mission and community service goals. You can count on us for consistency across all areas of operation, including the delivery of your favourite treats. Here are a few reasons we continue to be the real deal for the snacks your family loves. The Hendrickson family didn’t establish the company just because there was a demand for baked products. Reginald Hendrickson started the business because he loved baking, and every day we continue to build on the vision he had for his small company, almost 70 years ago. 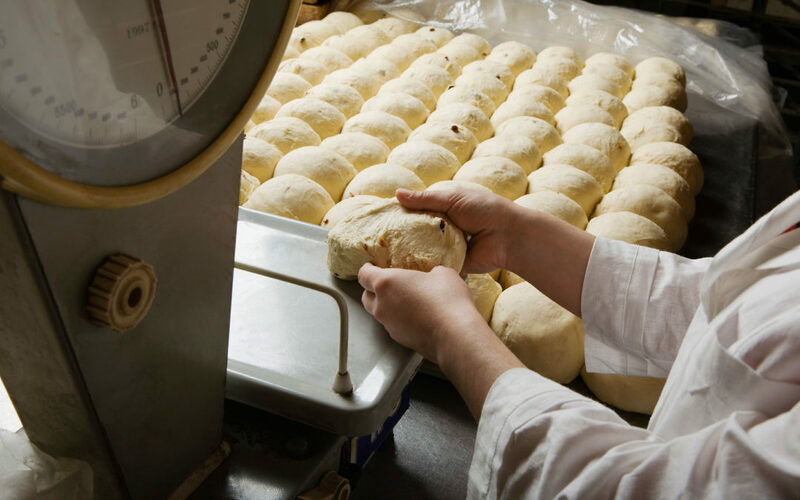 We employ professional bakers who are passionate about baking and working for National. They are the real deal. Our employees understand that we are more than a baking company — National is a Jamaican company. Our team takes pride in their jobs, and every product we have on shelves across the globe reflects this. Quality ingredients have always been our hallmark. We pay attention to every item used in our products and employ professionals who manage the process every step of the way. Customers, therefore, receive a final product that leaves them fans for life. We take great pride in delivering goods that our customers love! We include the health of Jamaicans in our social responsibility goals. Quality ingredients are only a part of the equation. We carefully select suppliers and are mindful of growth, manufacturing, and production processes to ensure ingredients are safe for consumption. Nutritional and caloric content per serving, are important factors too. Our history reflects the island’s evolution, and we make it our duty to play a significant role in our country’s future. As we grow, we will continue to pay attention to our customer’s wants. Our community service efforts will still reflect our commitment to Jamaicans at home and abroad. We are proud to be the real deal for generations of Jamaicans. From our choice of ingredients to our advertisements, everything we do is authentically Jamaican. National Baking Company is committed to Delivering Freshness Every Day and preserving and promoting our unique Jamaican spirit. Be a part of the mission and go National today!